The Naqshbandiya Tariqah is named after Hadrat Baha al-Din Naqshband (Radi Allahu Ta’ala anhu) (d. 791/1389)and is a tariqah that is widely active throughout the world today. It is described as the ‘Mother of all Tariqah’s’ by Shaykh Ahmad al-Faruqi al-Sirhindi (Rehmatullahi alaih) and it also has a very strong presence on the Web. Together with the Spiritual Order’s of the Qadiriya, Chistiya and Suhrawardiya, they are considered as the four main Silsila’s of the Ahl as-Sunnah wa’l Jama’at. anhu) and Sayyidina Ahmad Faruqi (radi Allahu anhu), it was called Naqshbandiyya. Naqshbandiyya means to “tie the Naqsh very well.” The Naqsh is the perfect engraving of Allah’s Name in the heart of the murid. From the time of Sayyadina Ahmad al-Faruqi (radi Allahu anhu) to the time of Shaykh Khalid al-Baghdadi (radi Allahu anhu) it was called Naqshbandi-Mujaddidiyya. From the time of Sayyidina Khalid al-Baghdadi (radi Allahu anhu) until the time of Sayyadina Shaykh Ismail Shirwani (radi Allahu anhu) it was called the Naqshbandiyya-Khalidiyya. Today there is the Aslamiya, Haqqaniya amongst others who are keeping the spiritual chain going. The most distinguished Naqshbandi Way is a school of thought and practice that stood in the vanguard of those groups which disseminated truth and fought against evil and injustice, especially in Central Asia and India in the past, in China and the Soviet Union in modern times, and in Europe and North America today. Naqshbandi Shaykhs who took up political, social, educational and spiritual roles in their communities, acting according to the Noble Quran and the Sunnah of the Beloved Prophet (Peace and Blessings be upon him). The most distinguished Naqshbandiya Order is the way of the Noble Companions of the Beloved Prophet (Peace and Blessings be upon him) and those who follow them. This Way consists of continuous worship in every action, both external and internal, with complete and perfect discipline according to the Sunnah of the Prophet (Peace and Blessings be upon him). It consists in maintaining the highest level of conduct and leaving absolutely all innovations and all free interpretations in public customs and private behavior. It consists in keeping awareness of the Presence of God, Almighty and Exalted, on the way to self-effacement and complete experience of the Divine Presence. It is the Way of complete reflection of the highest degree of perfection. It is the Way of sanctifying the self by means of the most difficult struggle, the struggle against the self. It begins where the other orders end, in the attraction of complete Divine Love, which was granted to the first friend of the Most Beloved Prophet (Peace and Blessings be upon him), Sayyadina Abu Bakr as-Siddiq (Radi Allahu Ta’ala anhu). What distinguishes the Naqshbandi school from other Sufi orders was the fact that it took its foundations and principles from the teachings and example of six bright stars in the firmament of the Beloved Prophet (Peace and Blessings be upon him). These great figures were: Abu Bakr as-Siddiq, Salman al-Farisi, Ja’far as-Sadiq, Bayazid Tayfur al-Bistami, Abdul Khaliq al-Ghujdawani, and Muhammad Baha’uddin Uwaysi al-Bukhari, known as Shah Naqshband–the eponymous Imam of the tariqat (May Allah Bless them and keep them in peace). Behind the word “Naqshband” stand two ideas: naqsh which means “engraving” and suggests engraving the name of Allah in the heart, and band which means “bond” and indicates the link between the individual and his Creator. This means that the Naqshbandi follower has to practice his prayers and obligations according to the Noble Qur’an al-kareem and the Sunnah of the Most Beloved Prophet (Peace and Blessings be upon him) and to keep the presence and love of Allah alive in his heart through a personal experience of the link between himself and his Lord. Besides Sayyadina Abu Bakr as-Siddiq (Radi Allahu ta’ala anhu), who are these stars in the firmament of the Prophet (Peace and Blessings be upon him) ? One of them was Hadrat Salman al-Farisi (Radi Allahu ta’ala anhu). His origin was Isfahan in Persia and he was the one who advised the Muslims to dig a trench in the battle of Ahzab. After the Muslims seized al-Mada’in, the capital city of Persia, he was made Prince and governor of that city and remained there until his death. Another star was Hadrat Ja‘far as-Sadiq(Radi Allahu ta’ala anhu). A descendant of the Beloved Prophet (Peace and Blessings be upon him) on his father’s side and of Hadrat Abu Bakr (Radi Allahu ta’ala anhu) on his mother’s, he rejected all positions of honour in favour of retreat and spiritual learning and practice. He was called “The Inheritor of the Prophetic Station (Maqam an-Nubuwwa) and the Inheritor of the Truthful Station (Maqam as-Siddiqiyya). The oldest recorded occurrence of the term safa was in reference to his student, Jabir ibn ayyan, in the middle of the second Hijri century. He was a mufassir al-Qur’an or master in exegesis, a scholar of hadith, and one of the greatest mujtahids (qualified to give legal decisions) in Madinah. His Tafsir is partially preserved in Sulami’s haqa’iq at-tafsir. Layth ibn Sa‘d, one of the most reliable transmitters of prophetic traditions, witnessed Hadrat Ja’far’s (Radi Allahu ta’ala anhu) miraculous powers as the latter was able to ask for anything, and God would grant it to him on the spot. Yet another star in the firmament of the Beloved Prophet (Peace and Blessings be upon him) was ‘Abdul Khaliq al-Ghujdawani (Radi Allahu anhu), who was born in the village of Ghujdawan, near Bukhara in present-day Uzbekistan. He was raised and buried there. He studied al-Qur’an and the Islamic sciences of both external and internal knowledge until he reached a high station of purity. He then traveled to Damascus where he established a school from which many students graduated and went on to become masters of fiqh and hadith as well as spirituality in their time, both in the regions of Central Asia and in the Middle East. ‘Abdul Khaliq (Radi Allahu anhu), continued the work of his predecessors by formulating the dhikr (remembrance of God) passed down from the Beloved Prophet (Peace and Blessings be upon him) according to the Sunnah. 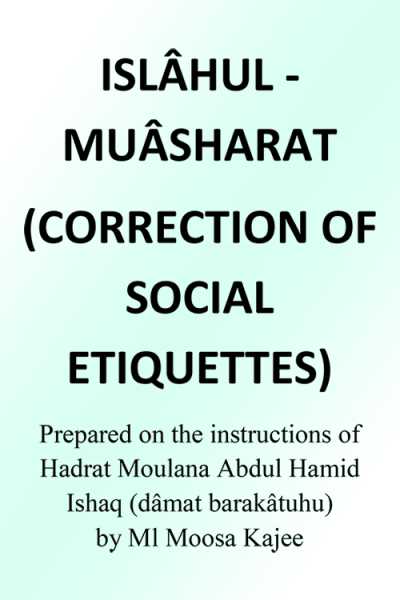 In his letters he set down the code of conduct (adab) that the students of the Naqshbandiyya were expected to follow. In this constellation, we come finally to Muhammad Bahauddan Uways al-Bukhari (Radi Allahu ta’ala anhu), known as Shah Naqshband, the Imam of the Naqshbandi Tariqat without peer. He was born in the year 1317 C.E. in the village of Qasr al-‘arifan, near Bukhara. After he mastered the shari’ah sciences at the tender age of 18, he kept company with the Shaykh Muhammad Baba as-Samasi (Radi Allahu anhu), who was an authority in hadith in Central Asia. After the latter’s death, he followed Shaykh Amir Kulal (Radi Allahu anhu) who continued and perfected his training in the external and the internal knowledge. The students of Shaykh Amir Kulal (Radi Allahu anhu) used to make dhikr aloud when sitting together in association, and silent dhikr when alone. Hadrat Shah Naqshband (Radi Allahu ta’ala anhu), however, although he never criticized nor objected to the loud dhikr, preferred the silent dhikr. Concerning this he says, “There are two methods of dhikr; one is silent and one is loud. I chose the silent one because it is stronger and therefore more preferable.” The silent dhikr thus became the distinguishing feature of the Naqshbandiyya among other tariqats. Shah Naqshband (Radi Allahu ta’ala anhu) performed Hajj (Pilgrimage) three times, after which he resided in Merv and Bukhara. Towards the end of his life he went back to settle in his native city of Qasr al-‘Arifan. His teachings became quoted everywhere and his name was on every tongue. Visitors from far and wide came to see him and to seek his advice. They received teaching in his school and mosque, a complex which at one time accommodated more than five thousand people. This school is the largest Islamic center of learning in Central Asia and still exists in our day. It was recently renovated and reopened after surviving seventy years of Communist rule. When Shah Naqshband (Radi Allahu ta’ala anhu) died he was buried in his garden as he requested. The succeeding Kings of Bukhara took care of his school and mosque, expanding them and increasing their religious endowments (awqaf). Succeeding Shaykhs of the Naqshbandi Tariqat wrote many biographies of Shah Naqshband (Radi Allahu ta’ala anhu). Among them are Mascud al-Bukhari and Sharif al-Jarjani, who composed the Awrad Baha’ uddan which describes him and his life’s works including his fatawa (legal decisions). Shaykh Muhammad Parsa, who died in Madinah in 822 H. (1419 C.E.) wrote Risala Qudsiyya in which he talks of Shah Naqshband’s (Radi Allahu ta’ala anhu) life, his virtues, and his teachings. Shah Naqshband’s (Radi Allahu ta’ala anhu) literary legacy included many books. Among them are Awrad an-Naqshbandiyyah, the Devotions of Shah Naqshband. Another book is Tanbih al-Ghafilin. A third book is Maslakul Anwar. A fourth is Hadiyyatu-s-Salikan wa Tuhfat at-Talibin. He left many noble expressions praising the Beloved Prophet (Salla Allahu Ta’ala ‘alyhi wa Sallam) and he wrote many legal rulings. One of his opinions was that all the different acts and kinds of worship, whether obligatory or voluntary, were permitted for the seeker in order to reach reality. Prayer, fasting, zakat (paying the poor-tax), mujahadat (striving) and zuhd (self-denial) were emphasized as ways to reach Allah Almighty. Shah Naqshband (Radi Allahu ta’ala anhu) built his school on the renewal of the teachings of the Islamic religion. He insisted on the necessity of keeping the Qur’an al-kareem and the teachings of the Sunnah. When they asked him, “What are the requirements of one who follows your way?” he said, “To follow the Sunnah of the Beloved Prophet (Salla Allahu Ta’ala ‘alyhi wa Sallam).” He continued saying: “Our way is a rare one. It keeps the cUrwat ul-Wuthqa, the Unbreakable Bond, and it asks nothing else of its followers but to take hold of the Pure Sunnah of the Prophet (s) and follow the way of the Sahaba (Companions of the Beloved Prophet (Salla Allahu Ta’ala ‘alyhi wa Sallam) in their ijtihad (efforts for Allah). This is a presentation to the general public, by order of Shaykh Muhammad Nazim al-Haqqani, fortieth in that Golden Chain of the Naqshbandi Masters, an all-too-brief book filled with the light of these Pure Masters, their aphorisms, their teachings, their way of life, and their examplary saintliness. We hope that it will bring the reader a taste of the lives of these Shaykhs, who light our way to the knowledge of Reality and Truth, to the Love of the Most Beloved Prophet (Salla Allahu Ta’ala ‘alyhi wa Sallam), and to the ultimate goal of all, which is to reach the Divine Presence of our Creator. “In vain do eyes stay awake if not to behold You. for their dying is not of one kind. and he sacrifices them all at every instant. The most universally acclaimed saint of all times and the most celebrated in all the aalamin (worlds), among jinn and men as well as among the arwaah (souls), the malaaika (angels), and the rijaal ul ghayb (men of the unseen), the beloved of Allah Ta’ala who throughout history has been showered the titles of Muhiyuddin (reviver of the faith), Qutb Rabbani (the spiritual axis established by the Lord), and Ghawth al-A’zam (the greatest helper, the greatest saint), Sayyadi wa Imami Abu Muhammad Abd’al-Qadir al-Jilani (Radi Allahu ta’ala Anhu) was born in Ramadan 470 A.H/1077 C.E in Jilan, Persia. His father, Abu Salih, was a man of taqwa (piety) and a direct descendant of Sayyidina Imam Hasan ibn Ali (Radi Allahu Anhu). His mother, Ummul Khayr Fatima was a saintly daughter of a saintly father Shaykh Abdullah Sawma‘i who was a direct descendant of Sayyad ash-shuhadaa Imam Husayn ibn Ali (Radi Allahu Anhu). Thus Muhyiddin Shaykh Abd’al-Qadir al-Jilani (Radi Allahu ta’ala Anha)was both Hasani and Husayni, a descendant of the Beloved Prophet Muhammad (Salla Allahu alayhi wa Sallam) from his beloved daughter Sayyidatina Fatima az-Zahra (Rady Allahu Anha). For this reason, the Sindhis for example, lovingly call him “putar mithe mahbub jo” (the blessed son of the sweet Beloved Prophet – Salla Allahu ta’ala alayhi wa Sallam). Khaatam an-Nabiyyin Habibi Rabbil aalamin Sayyadina wa Mawlana Muhammad ibn Abdillah, Nurin min Nurillah, Allahumma Salli wa Sallim wa Baarik alayh. (cited by Shaykh Abdur Rahman ibn Shaykh Umar Ali al-Qadiri, in Al-Jawhar un Nafis, The Most Precious Pearls, p. 29). What better way is there to end this section and indeed all the remaining sections than with this hymn which is full of blessings and mercy of Allah. The Beloved Prophet Muhammad Mustafa (Salla Allahu ta’ala alayhi wa Sallam) is the last Prophet and there is no prophet after him. But people can still aspire to spiritual progress, acquire taqwa (piety) and saintliness and become awliya Allah (friends of Allah). And the highest spiritual state after the anbiya (prophets), belongs to the siddiqin (the truthful). That is why the Beloved Prophet Muhammad (Salla Allahu ta’ala alayhi wa Sallam) taught us to make the supplication: Allahummaj ‘alnaa min-as-siddiqin (O Allah make us among the truthful). Well, Shaykh Abd’al-Qadir al-Jilani (Radi Allahu ta’ala Anhu) manifested to the world that he ranked among the siddiqin at the ripe age of 18. At that age, his thirst for knowledge and eagerness for the company of the awliya Allah (friends of Allah) took him to the city of Baghdad. It is related that as he was about to leave home on this momentous journey, his widowed mother sewed forty gold coins inside his coat as part of his inheritance, and as parting advice told him to be forever truthful. The caravan with which he was travelling had gone as far as Hamadan when it was attacked by a gang of robbers. In the course of their loot, one of the robbers asked him whether he had anything with him and he truthfully replied that he had forty gold coins sewn in his coat. The robber obviously thought he was joking and narrated this incident to his chief who decided to see this young man. When his coat was torn open, sure enough there were forty gold coins. The gang leader was astounded. He asked Shaykh Abd’al Qadir al-Jilani (Radi Allahu ta’ala Anhu) as to why he revealed this when he could have kept it secret. Shaykh Abd’al-Qadir al-Jilani (Radi Allahu ta’ala Anhu) told him that his mother had advised him not to lie and he was duty bound to obey his mother, Hearing this, the gang leader was overtaken with remorse, repented, accepted Shaykh Abd’al-Qadir al-Jilani (Radi Allahu ta’ala Anhu) as his Shaykh and so did all his followers and they went on to acquire wilayah (sainthood) themselves. This is how Shaykh Abd’al-Qadir al-Jilani (Radi Allahu ta’ala Anhu) came to be ranked among the Siddiqin. Allahummaj ‘alnaa min-as-Siddiqin, Aameen Yaa Rabbal ‘Aalamin. Muslims follow Tariqa (spiritual path leading to Allah Ta’ala) based on Shari’ah (sacred Muslim law). In matters of Shari’a (sacred Muslim law), ‘Mehbub Subhani’ Shaykh ‘Abd’al-Qadir al-Jilani (Radi Allahu ta’ala anhu) was an authority in the Hanbali madhhab (school of sacred Muslim law) as well as the Shafi’i madhhab, and a chief exponent of the Ahl as-Sunnah wa’l Jama’ah (the people who follow the lifestyle of the Beloved Prophet Muhammad (Salla Allahu ta’ala alayhi wa Sallam) and of his blessed Companions – Radi Allahu ta’ala anhum). The way to draw nearer to Allah Ta’ala is through the fulfilment of obligatory religious duties, additional voluntary prayers day and night, through constant remembrance (dhikr) of Allah, unceasing salawaat (invocations of blessings) on the Beloved Prophet Muhammad (Salla Allahu ta’ala alayhi wa Sallam), Sunnah fasting, charity, zuhd (abstinence) and juhd (exertion in the way of Allah Ta’ala) as exemplified by the Beloved Prophet Muhammad himself. This then is the tariqah (spiritual path leading to Allah Ta’ala) which is rooted in shari’ah (sacred Muslim Law). Shaykh ‘Abd’al Qadir al-Jilani (Radi Allahu ta’ala anhu) learned about the mysteries of tariqah and imbibed spiritual culture (tasawwuf) at the hands of Shaykh Hammad ibn Muslim al-Dabbas, Rahmatullahi ‘alayh. Traditionally, when someone is initiated into a tariqa, he is given a khirqa (sufi robe). Shaykh ‘Abd’al-Qadir al-Jilani was bestowed the khirqa by Shaykh Qadi Abi Sa’id al-Makhzumi, Rahmatullahi ‘alayh, (referred to as Al-Mukharrimi or Al-Makhrimi in some texts). A Shaykh (spiritual master), musk-scented in shari’ah, tariqah and haqiqi ma’rifa (knowledge of spiritual realities), is able to ascertain the spiritual level of a mureed (spiritual seeker/disciple) and can assign additional awraad and azkaar (regular voluntary invocations) to be performed to attain spiritual progress. Shaykh ‘Abd’al-Qadir al-Jilani (Radi Allahu ta’ala anhu) went on to become the epitome of such spiritual masters. The tariqah followed by Shaykh ‘Abd’al-Qadir al-Jilani (Radi Allahu ta’ala anhu) came to be called after him as the Qadiriyya tariqah and it came to be universally accepted as a divinely-guided path to spiritual progress through dhikr (remembrance) of Allah to cleanse one’s heart of all evil, to lead a virtuous life, to attain the love of the Beloved Prophet Muhammad, (Salla Allahu ta’ala alayhi wa Sallam), the love of the Ahl al-Bayt (the Prophet’s blessed Household), the love of his Sahaba (Companions) and the love of the awliya Allah (friends of Allah); and to follow the shari’ah (sacred Muslim law) according to the teachings of any one of the four Imams of madhhab, that is Imam Abu Hanifa, Imam Shafi’i, Imam Malik and Imam Ahmad ibn Hanbal, may Allah Ta’ala be pleased with them all. The most universally acclaimed saint of all times and the most celebrated in all the aalamin (worlds), among jinn and men as well as among the arwaah (souls), the malaaika (angels), and the rijaal u’l ghayb (men of the unseen), the beloved of Allah (Subhanahu wa ta’ala) who throughout history has been showered the titles of Muhiyuddin (reviver of the faith), Qutb Rabbani (the spiritual axis established by the Lord), and Ghawth al A’zam (the greatest helper, the greatest saint), Sayyadi wa Imami Abu Muhammad Abd’al-Qadir al-Jilani, (Radi Allahu ta’ala Anhu) was born in Ramadan 470 A.H/1077 C.E in Jilan, Persia. His father, Abu Salih, was a man of taqwa (piety) and a direct descendant of Sayyiduna Imam Hasan ibn Ali (Radi Allahu ta’ala Anhu). His mother, Ummu’l Khayr Fatima was a saintly daughter of a saintly father Shaykh Abdullah Sawma‘i who was a direct descendant of Sayyadu’sh shuhadaa Imam Husayn ibn Ali (Radi Allahu ta’ala Anhu). Thus Muhiyuddin Shaykh Abd’al-Qadir al-Jilani (Radi Allahu ta’ala Anhu) was both Hasani and Husayni, a descendant of the Most Beloved Prophet Muhammad, (Salla Allahu ta’ala ‘alayhi wa Sallam) from his beloved daughter Sayyadatina Fatima az-Zahra, (Radi Allahu ta’ala Anha). For this reason, the Sindhis for example, lovingly call him “putar mithe mahbub jo” (the blessed son of the sweet beloved Prophet – Salla Allahu ta’ala ‘alayhi wa Sallam). Khaatam an-Nabiyyin Habibi Rabbi’l aalamin Sayyiduna wa Mawlana Muhammad ibn ‘Abdillah, Nurin min Nurillah, Allahumma Salli wa Sallim wa Baarik ‘alayh. Shaykh ‘Abd’al-Qadir al-Jilani (Radi Allahu ta’ala anhu) taught Muslims and preached to non-Muslims in Baghdad. His nasiha (advices) and mawa’iza (sermons, discourses) were written down by scribes as he delivered them and they have been compiled and handed down through centuries as classics of Muslim spirituality. One of the beauties of his discourses is that you feel he is addressing you directly. This kitab (book) is a comprehensive explanation of Arkan al-Iman (Pillars of Faith), Arkan al-Islam (Pillars of Islam), and Ihsan (Spiritual Excellence). It is a kitab (book) on Hanbali fiqh (jurisprudence) with special emphasis on salaah (obligatory five times daily prayer). It is indispensable for those who want to do tabligh (propagate Islam) as it deals with amr bi’l ma’ruf wa nahi anil munkar (enjoining good and forbidding evil).?? Futuh al-Ghaib (Revelations of the Unseen), a collection of 78 discourses. Al-Fath ur Rabbani (The Endowment of Divine Grace). This a collection of 72 discourses, the main message of which is to raise yourself up to such spiritual heights as to devote your whole life in worshipful service of Allah, purely to earn His Rida (Pleasure) and His Qurb (Nearness) without hoping for any other reward in the Hereafter. In these discourses, he admonishes the munafiqin (hypocrites) who forget their religion and who cringe before kings and princes for worldly gain. Jila al-Khatir (Purification of the Mind), a collection of 45 discourses. Sirr al-Asrar (The Secret of Secrets). This kitab (book) explains matters related to shari’a (sacred law), tariqa (spiritual path), haqiqi ma’rifa (knowledge of spiritual realities) and tasawwuf (spiritual culture). Khamsata ‘Ashara Maktuban (Fifteen Letters). These were written in Persian and translated into Arabic by ‘Ali ibn Husam ud-Din al-Muttaqi, Rahmatullahi ‘alayh (passed away 977 A.H/1569 C.E). Besides the Qur’an al-Karim and Hadith Sharif, these can be considered to be required minimum reading for someone who aspires to be an ‘aalim (scholar). Faqr (worldly poverty with spiritual riches) of Nabiyyuna wa Habibuna wa Shafi’una Muhammad Mustafa, (Salla allahu ta’ala ‘alayhi waSallam). (cited by Al-Hajj Isma’il ibn as-Sayyad Muhammad Sa’id al-Qadiri, in al-Fuyudaat ur Rabbaniyya, Emanations of Lordly Grace, p. 40). His mawa’iza (exhortations, discourses) deal with various subjects. For example, the first few discourses in Futuh al-Ghaib (Revelations of the Unseen) are on “The essential tasks of every believer”, “Sharing good advice”, “Being tried and tested”, “Spiritual death”, “The nature of this world, detachment from which is strongly advised”, “Passing beyond the creation”, “Removing the cares of the heart”, “Drawing near to Allah”, “Disclosure and contemplation”, “The self and its states”, and “Controlling carnal desire”. And in the Sixth Discourse of Futuh al-Ghaib (Revelations of the Unseen, p. 17-18), he quotes this Hadith Qudsi which is dear to the heart of every Muslim (translation is by Shaykh Muhtar Holland). This Hadith Qudsi has been narrated by Hadrat Abu Hurayra, (Radi Allahu ta’ala ‘Anhu) and reported by Imam Bukhari, Rahmatullahi ‘alayh (194-256 A.H, 810-870 C.E).? The essence of his teaching is to achieve qurb Ilallah (nearness to Allah) in the sense of achieving His love, as He is our Khaliq (Creator) and the Musabbib ul Asbab (the Original Cause of all the causes). The description of someone who has attained nearness to Allah is succinctly summarised in Futuh al-Ghaib (Revelations of the Unseen, p. 12, translation is by Shaykh Muhtar Holland). The next step to take is perhaps to open another of the compilations of his mawa’iza (discourses). This is a suggested interpretation of the opening of his first discourse in Al-Fath ur Rabbani (The Endowment of Divine Grace). within the compass of Your Tremendous Grace. Allahumma Salli wa Sallim ‘alayh. We find that Shaykh ‘Abd’al-Qadir al-Jilani (Radi Allahu ta’ala ‘Anhu) begins his discourse with an exalted, inspiring and comprehensive salaat (invocation of blessings on Prophet Muhammad, peace be upon him) in which he manifests his deep love for him. In one breath he tells us that the Beloved Prophet Muhammad, (Salla Allahu ta’ala alayhi wa Sallam), praised Allah as no one else did, that he knew Allah as no one else did and that he was inspired by Allah as no one else was. He reminds us that the grandeur of Prophet Muhammad, peace be upon him, has already been manifested in this world and is yet to be revealed in all its glory on the Day of Judgement. The salaat begins with the Name of Allah and uses the wasila (means) of the Beloved Prophet Muhammad, (Salla Allahu ta’ala alayhi wa Sallam). In the same breath, it breathes in the Asma and Sifat of Allah, the Most Beautiful Names and Attributes of Allah, Wahdahu laa sharika lahu. The salaat is on the reality and essence of Prophet Muhammad (Salla Allahu ta’ala alayhi wa Sallam), well as everything that pertains to him or is connected with him in the world of creation and in the world of Allah’s Commad. And all the Prophets, as well as the Messengers of Allah, the angels and the pious people are connected with him. So the salaat is on all of them as well. In one sweep, both the reality and the essence of Prophet Muhammad (Salla Allahu ta’ala alayhi wa Sallam), have been linked to the two worlds of Allah’s creation and Allah’s Command. When you have completed reciting this salaat, you know for sure that you are in the presence of a shaykh, a man of Allah, and you want to establish ta’alluq (connection) with him, as you know that following his teaching and obtaining his baraka (blessings), coming as they do from the pure fount of his blessed ancestor, will lead you to salvation. Aameen. His ‘aqidah (tenets of belief) was that of the Ahl as-Sunnah wa’l Jama’ah, based on the Qur’an al-Kareem, and the Sunnah of the Most Beloved Prophet Muhammad (Salla Allahu ta’ala alayhi wa Sallam). All the sufi saints and mashaykh (spiritual masters) through centuries have expounded on and lived by this ‘aqidah, foremost among them being Imam al-A’zam Imam Abu Hanifa (80-150 A.H), Imam Abu’l Hasan al-Ash’ari (260-324 A.H, 874-935 C.E), and Imam Abu Mansur al-Maturidi (passed away 332 A.H, 944 C.E), Rahmatullahi ‘alayhim ajma’in. Shaykh ‘Abd’al-Qadir al-Jilani (Radi’Allahu ta’ala anhu) has explained it in Al-Ghunya Li Talibi Tariqi’l Haqq (Sufficient Provision for Seekers of the Path of Truth). The foundation of this aqidah is the belief that Allah Ta’ala is the only One worthy of worship and that the Beloved Prophet Muhammad (Salla Allahu ta’ala alayhi wa Sallam) is His Divinely Ordained Final Prophetic Messenger (Rasul). Its nurturing is with Asma al-Husna and mahabba (love) of the Beloved Prophet Muhammad (Salla Allahu ta’ala alayhi wa Sallam), his Pure Household and Blessed Companions. Its manifestation is the spontaneous pride felt in the achievements of the Khulafa ar-Rashidun, that is, Sayyaduna Abu Bakr as-Siddiq, Sayyaduna ‘Umar al-Faruq, Sayyadana ‘Uthman Dhun-Nurayn, and Sayyadana ‘Ali al-Murtada, (Radi Allahu ta’ala anhum). Its daily life is governed by shari’ah (sacred Muslim law). Its spread is through nasiha (good advice), dhikr of Allah Ta’ala and Salawaat and Salaam on the Beloved Prophet Muhammad, (Salla Allahu ta’ala alayhi wa Sallam). Its peak is jihad (battle within oneself, inner struggle), and its ultimate is fana Fillah (annihilation of oneself for the sake of, and in the love of Allah Ta’ala), after which Allah Ta’ala showers you with Baqa Billah (spiritual life everlasting) in His Rida (Pleasure). So you begin with rida’l waalidayn (living in the pleasure of your parents) and end with Ridallah living to please Allah (Subhanahu wa Ta’ala). And the Sahaba (Companions) of the Beloved Prophet Muhammad are referred to as (Radi’Allahu ta’ala anhu) (Allah is well pleased with them and they are pleased with Him as their Lord). And according to Shaykh ‘Abd’al-Qadir al-Jilani (Radi’Allahu ta’ala anhu), his own position is equal to the dust under the feet of the Sahaba. If that is the case, then what is the stature of the blessed Sahaba of the Beloved Prophet Muhammad (Salla Allahu ta’ala alayhi wa Sallam) ? Their spiritual stature derives from the fact that they were blessed with the opportunity of beholding the Beloved Prophet Muhammad (Salla Allahu ta’ala alayhi wa Sallam) with the eyes of iman (faith). That being the case, how can anyone be capable enough to explain in full the sifat (attributes) of Muhammad ‘Arabi, Rasuli Rabbi’l ‘Aalameen, Rahmatullil ‘Aalamin. Only Allah Ta’ala is aware of what He bestowed on His Beloved Prophet Muhammad, Allahumma salli wa sallim ‘alayh. As-Salaat al-Ghawthiyya, named after him as it is the most famous. As-Salaatu Kibriti’l Ahmar which means red sulphur or “the Philosopher’s Stone”, or something that is very rare to come by. As-Salaat al-Kubra or the “big salaat”. This looks like a bouquet of flowers straight from Paradise consisting of 33 salawaat, and du’a (supplication), all richly interspersed together with 25 verses of the Qur’an al-Kareem. Muslims love these salawaat so much that they make them their wazifa (regular voluntary devotion). For this reason, spiritual masters as well as spiritual seekers include them in their books of salawaat. Two such great Muslim luminaries who have included As-Salaat al-Ghawthiyya in their compilations of salawaat are Imam Muhammad ibn Sulayman al-Jazuli (passed away 870 A.H/1465 C.E) in Dalaail u’l Khayraat (Proofs of Good Deeds), and Hadrat Mulla ‘Ali al-Qaari (passed away 1014 A.H/1606 C.E) in Hizb u’l A’zam (The Exalted Supplication). As-Salawaat li’l Awliya wa’s Salihin (Invocations of Blessings by the Saints and the Pious), published by Iqra Islamic Publications in Toronto. At this juncture, let us seize the opportunity of reciting his most famous salaat, that is, As-Salaat u’l Ghawthiyya. wa sallim tasleeman mithla dhaalik. and in the same manner complete salutations as well. The Qadiriya tariqah is one of Zikrullah, remembrance of Allah. The plural of zikr is azkaar. The azkaar and du’a (supplications) of Shaykh ‘Abd’al-Qadir al-Jilani (radi’Allahu ta’ala anhu) have been compiled in many kutub (books), one of which is al-Fuyudhaat ur Rabbaniyya (Emanations of Lorldly Grace). It gives the invocations and supplications of Shaykh ‘Abd’al-Qadir al-Jilani to be recited after every salaah (regular obligatory prayer), for each day of the week, as well as for various special occasions. A short article such as this one cannot explain in any detail all the invocations and supplications of the Shaykh. But we can perhaps benefit from reciting at least one of his du’a (supplications). His du’a entitled Du’a al Jalalah (The Majestic Supplication) is so rich and rewarding that many mashaykh choose to include it in their kutub (books), among them being Imam Muhammad ibn ‘Alawi al-Maliki al-Hasani of Makka who has included it in his Duru’ u’l Wiqaya bi Ahzaabi’l Himaaya (Armours of Protection For Security Forces, p. 58). “There is no strength nor power except with Allah”. “And there is no strength nor power except with Allah, the Exalted, the Almighty”. on his family and all his companions, Aameen. Such was the spiritual status of Shaykh ‘Abd’al-Qadir al-Jilani (radi’Allahu ta’ala anhu) that in response to his du’a (supplication), Allah would turn a shaqiy (unfortunate person) into a sa’id (someone destined for salvation). Indeed he has so spiritually transformed the lives of so many Muslims in such significant ways that they never forget to mention him in their du’a (supplications to Allah). May Allah, the Glorified and the Exalted make us benefit from him, Aameen. In his Qasaaid (religious poems), Shaykh ‘Abdul Qadir Jilani (Radi Allahu ta’ala‘Anhu) talks mainly about the spiritual station of being intoxicated with the love of Allah. Nine of his Qasaaid are given in Al-Fuyudaat u’r Rabbaniyya (Emanations of Lordly Grace). Of these, Qasida Ghawthiyya, his nazm (didactic poem) on the Asma al-Husna, and his mathnawi perhaps call for more comment. Hadaaiqi Bakhshish (The Gardens of Gifts), with a poetic translation in Urdu by Imam Ahmad Raza Khan, Rahmatullahi ‘alayh. Al-Fuyudaat u’r Rabbaniyya (Emanations of Lordly Grace), translated by Shaykh Muhtar Holland. 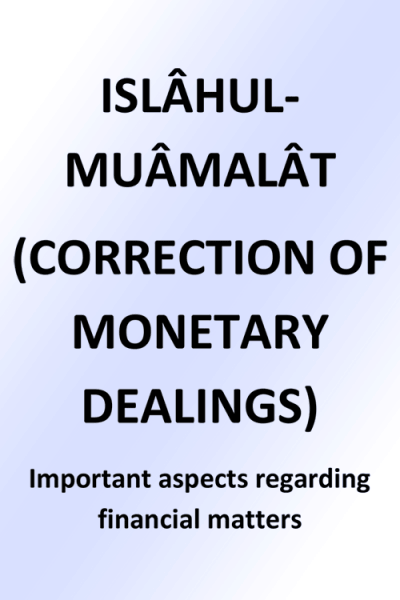 ‘Abd’al-Qadir Fee Iydaah-it-Tasawwuf (Shaykh ‘Abd’al-Qadir in Clarifying the Subject of Spiritual Culture), of Nur-ud-Din ibn ash-Shaykh Husayn Mahmud al-Ghasani. Majmu’ah Mushtamila (A Compendium of Writings), of Shaykh ‘Abdur Rahman ibn Ahmad al-Qadiri az-Zayla’i, Rahmatullahi ‘alayh of Somalia. Majmu’ah Wazaaif (A Compendium of Regular Voluntary Invocations), compiled by Women Islamic Mission, Karachi, with an Urdu translation. Majmu’ah Wazaaif, compiled by Qari Ridaa al-Mustafa A’zami, with an Urdu translation. Qadiri Ridwi Majmu’ah Wazaaif (A Compendium of Regular Voluntary Invocations of the Qadiriya), compiled by Iqbal Ahmad Nuri and Anis Ahmad Nuri, with an Urdu translation by ‘Allamah Shams Brelwi. Khatam Sharif Sarwari Ghawthi Qadiri (The Completion of the Noble Dhikr Among The Sarwari Qadiriya). One of the qasaaid of Shaykh ‘Abd’al-Qadir al-Jilani is a mathnawi A mathnawi is a poem in which the two hemistich (half verses) of a verse rhyme, and the rhyme keeps on changing from one verse to the next. Shaykh ‘Abd’al-Ghani Nabulsi Rahmatullahi ‘alayh (1641-1731 C.E) has composed a takhmis of this Qasida. A takhmis is the augmentation of a couplet to a quintent, in other words the quintification of a couplet! So far, we have talked about his qasaaid from Al-Fuyudaat ur Rabbaniyya which are very popular. Now we come to an appreciation of much shorter pieces of a few verses each from Qalaid al-Jawahir (Necklaces of Gems). It is a tradition among the mashaayikh (spiritual masters) to explain about matters pertaining to the religion of Islam in both prose and poetry. For example, when Shaykh ‘Abdul Qadir Jilani Rady Allahu ‘Anh was asked to explain the meaning of the word faqir (poor, needy before Allah), he said that the word faqir is formed with four letters, “faa”, “qaaf “, “yaa”, and “raa”, as cited in Qalaid al Jawahir (Necklaces of Gems). Then he explained the significance of each of these letters in four verses to convey the meaning and the essence of the word faqir. and its return to Allah from its carnal desires. We notice that when he talks about the letter “faa”, the Shaykh uses two words that begin with the letter “faa”. These are fanaa and faraagh. Similarly, when he comes to the letter “qaaf”, he uses three words – quwwah, qalb and qiyaam – that begin with the letter “qaaf” . The words associated with the letter “yaa” are yarju, yakhaafu and yaqumu while those that go with the letter “raa” are riqqah and ruju’. Shaykh ‘Abd’al-Qadir al-Jilani (Radi Allahu ta’ala ‘Anhu) was for sure not only a master of the religion of Islam but a master of the Arabic language as well. Shaykh ‘Abd’al-Qadir al-Jilani, (Radi Allahu ta’ala‘Anhu) as the model of a Sufi saint, through his nasiha, azkaar and salawaat, through giving a living reality to Islam, in his complete surrender to the Will of Allah (Subhanhu wa ta’ala) and in his showing of tawakkul (trust in Allah) and through his teaching and preaching converted more than five thousand Jews and Christians to Islam while more than a hundred thousand ruffians, outlaws, murderers, thieves and bandits repented and became devout Muslims and gentle dervishes, explains Shaykh Tosun Bayrak al-Jerrahi al-Halveti in his “Introduction” to the translation of Sirr al-Asrar (The Secret of Secrets, p XXXI). Shaykh ‘Abd’al-Qadir al-Jilani (Radi Allahu ta’ala‘Anhu) says in the 35th Discourse (khutba) in Al-Fath-ur-Rabbani (The Endowment of Divine Grace) that this was among the blessings of our beloved Prophet Muhammad, peace and blessings of Allah be upon him. Shaykh ‘Abd’al-Qadir al-Jilani, (Radi Allahu ta’ala‘Anhu) had four wives, each a model of virtue, and devoted to him. He had forty-nine children, twenty-seven sons and twenty-two daughters. Four of his sons, Shaykh ‘Abdul Wahhab, Shaykh ‘Isa, Shaykh ‘Abdul Razzaq and Shaykh Musa became famous for their education and learning, and they and their descendants spread Islam in other parts of the world. Shaykh ‘Abd’al-Qadir al-Jilani (Radi Allahu ta’ala‘Anhu) passed away with the dhikr of Allah (Subhanhu wa ta’ala) on his lips on 11 Rabi’ al-Akhir 561 A.H, 1166 C.E, at the age of 91. A special dhikr session is held that night. It is variously known as Khatm Ghawthiya, Ziyara Shaykh ‘Abdul Qadir Jilani, ‘Urs Shareef, or Giyarwee Shareef. In Eastern Africa, a whole night dhikr session is held in congregation ending with Fajar salaah after which breakfast is served. In some places, dhikr sessions continue for days. These dhikr sessions draw murideen (spiritual seekers) in their thousands who come out spiritually rejuvenated, with their characters transformed and refined, ready to sacrifice everything they have for the sake of Allah. And these halaqa (gatherings) of dhikr in Tariqat al-Qadiriya have continued to attract millions of people to Islam through centuries and will continue to do so, Insha-Allah, till the Day of Judgement, Aameen. Besides this annual dhikr congregation, dhikr sessions are also held on the eleventh of every month (hence called Giyarwee Shareef in Urdu), as well as every Thursday night, as the night before Jumu’a is considered auspicious. The murideen (spiritual seekers) also do dhikr everyday individually in a mosque or at home. This then is one of the enduring legacies of Shaykh ‘Abd’al-Qadir al-Jilani, (Radi Allahu ta’ala ‘Anhu). Other mashaykh (spiritual masters) came who continued with the work of Shaykh ‘Abd’al-Qadir al-Jilani (Radi Allahu ta’ala‘Anhu). A few examples suffice to illustrate this. The first example is that of Khawaja Mu‘inuddin Chishti Ajmeri Rahmatullahi ‘alayh (passed away 627 A.H/1230 C.E), who acknowledged Shaykh ‘Abdul Qadir Jilani as his Shaykh and spread Islam in India. He achieved such a high spiritual status that he is called Sultan al-Hind (the Sultan of saints in the Indian sub-continent) and all the saints in that region are under his banner while he is under the banner of the Ghawth al A’zam. In the same way Shaykh Uways ibn Muhammad Rahmatullahi ‘alayh (1263-1326 A.H, 1847-1909 C.E) of Somalia became a khalifa (vicegerent) in Tariqat al-Qadiriya at the shrine of Shaykh ‘Abd’al-Qadir al-Jilani (Radi Allahu ta’ala‘Anhu)in Baghdad and spread Islam in the whole of Eastern Africa through congregations of dhikr. And Shaykh Hamzah Fansuri, Rahmatullahi ‘alayh, considered to be one of the greatest saints in Indonesia in the 16th century C.E. proudly proclaimed that he learned Islam from Shaykh ‘Abd’al-Qadir al-Jilani (Radi Allahu ta’ala‘Anhu) . It can truly be said that the muhibbin (loving disciples) of Shaykh ‘Abd’al-Qadir al-Jilani (Radi Allahu ta’ala ‘Anhu) have spread Islam throughout the world through dhikr. The barakaat (blessings) of dhikr are truly unending. May Allah Ta’ala make us among the zakirin (those who remember Him), Aameen. And the granting of wilayah (the status of a saint) by Allah Ta’ala to the zakirin (those who remember Him), ‘abidin (those who worship Him), salihin (pious), and muhibbin (those who love Him and the Beloved Prophet Muhammad) is in all instances mediated by the Beloved Prophet Muhammad (Salla Allahu ta’ala ‘alayhi wa Sallam), Shaykh ‘Abd’al-Qadir al-Jilani (Radi Allahu ta’ala‘Anhu) and one’s own Shaykh. After all, the awliya Allah (Friends of Allah) and the ‘ulama (learned scholars) are the Khalifatullah, vicegerants of Allah. Allahumma’j’alnaa fee zumrati’l awliya wa’s salihin (O Allah! Keep us in the company of the saints and the pious), Aameen Yaa Rabba’l ‘Aalamin. “In all that has reached us from trustworthy reporters, concerning the charismatic talents of the saints (karamat al-Awliya), we learn of none more numerous than the charismatic talents of the Cardinal Pole (Qutb), the Shaykh of Baghdad, Muhyi’d Din ‘Abd al-Qadir al-Jilani (may Allah be well pleased with him). He was the Shaykh of the principle Shafi’i and Hanbali authorities in Baghdad. Leadership in the sphere of knowledge devolved upon him in his day and age. More than a few of the notable figures received their education in his fellowship, and most of the preeminent Shaykhs of ‘Iraq became affiliated with him. His teaching was propagated by a host of those endowed with splendid spiritual states. His countless students included many of the masters of exalted spiritual stations. The Shaykhs and scholars (may Allah be well pleased with them all) were unanimous in declaring him worthy of the greatest honour and respect, in confirming his authority, in referrring to his statements, and in having recourse to his judgement….. He had an exalted way of speaking about the esoteric sciences (‘ulum al-ma’arif). His anger was intense whenever the sanctuaries of Allah (Glory be to Him and Exalted is He) were violated. He was openhanded and magnanimous in the most beautiful way. To put it in a nutshell, there was none like him in his day and age. (Qalaid al-Jawahir, Necklaces of Gems, p. 555-556, translated by Shaykh Muhtar Holland, whose translation has been adopted henceforth). “He is the leader of the champions of truth, and the competent authority of those who know by direct experience. He is a breath of life in the sphere of direct knowledge, and his business is intimate converse between all the saints (may Allah be well pleased with them all)”. (Qalaid al-Jawahir, p. 325-326). The following is a very short excerpt of what Shaykh ‘Afif ud-Din al-Yafi’i al-Yamani Rahmatullahi ‘alayh had to say about Shaykh ‘Abd’al-Qadir al-Jilani (Radi Allahu ta’ala ‘Anhu) in his Ta’rikh (History). “He roamed inside the natures (nufus) of human beings as freely as breaths roam in their breasts, and he made their hearts fragrant with the scent of gardens showered by rain. He cured their natures of their sicknesses, and cleared their minds of their illusions. No one who heard him failed to declare his commitment to repentance, or to make his eyelids sore from weeping. How many a sinner he brought back to Allah (Exalted is He)! How many a fainthearted weakling he reinvogorated! How many drunkards he rescued from the wine of passion! How many prisoners he released from the shackles of their lower selves (nufus)! How many mainstays (awtad) and spiritual deputies (abdal) did Allah choose because of him! On how many men did Allah confer a spiritual station because of him! The thoroughbred steeds of spiritual talents never ceased to ride toward him. My Allah (Blessed and Exalted is He) bestow His mercy upon him!” (Qalaid al-Jawahir, p. 551-552). Imam Shihabuddin ‘Umar ibn Muhammad as-Suhrawardi Rahmatullahi ‘alayh in his universally acclaimed classic Awarif ul Ma‘arif (The gnosis of the gnostics) refers to Shaykh ‘Abd’al-Qadir al-Jilani as “Our Shaykh” and quotes his advice. “The venerable ‘Abd al-Qadir al-Jilani (Radi Allahu ta’ala ‘Anhu) passed on to the Realm of Divine Beauty in 561 A.H/1166 C.E, and his blessed mausoleum in Baghdad is still a place of pious visitation. He is noted for his extraordinary spiritual experiences and exploits and wise teachings. It is rightly said of him that ‘he was born in love, grew in perfection, and met his Lord in the perfection of love.’ May the All-Glorious Lord bring us in contact with his lofty spiritual influence!” Aameen. (Qalaid al-Jawahir, back cover). This is how Brother Ruslan Moore introduced Futuh al-Ghaib (Revelations of the Unseen) to the readers in his “Publisher’s Preface”. “The words of Shaykh ‘Abd al-Qadir al-Jilani (Radi Allahu ta’ala ‘Anhu) can undoubtedly be considered among the most precious treasures of Islam. Indeed, Al-Baz Publishing was founded with the intention of providing fine English translations of his works for the benefit of English-speaking Muslims everywhere, in the spirit of wishing to share the benefit and blessing we have received ourselves at his hand. I became first interested in Shaykh ‘Abd al-Qadir (Radi Allahu ta’ala ‘Anhu) in learning from my own spiritual guide and benefactor Bapak Muhammad Sumohadiwidjojo, founder of the Subud brotherhood (may Allah be well pleased with him) that Allah had bestowed on the Shaykh the same opening and contact that Bapak himself received from Allah, and which he has passed on to us. saintly person of Abu’l-Khair Hammad ad-Dabbas. the premises eventually proved inadequate. the Addendum to Revelations of the Unseen. of the Names of Allah. A surname ending in -i will often indicate the bearer’s place of birth. al-Qadir (Radi allahu ta’ala ‘anhu). latter as-Sayyiduna [our Master], or Sayyidii [my Master]. the highly “orthodox” school of Imaam Ahmad ibn Hanbal. the eyes of his devoted followers. (1) A cry for aid or succor. (2) Aid, help, succor; deliverance from adversity. the supremacy of the Ghawth above all other orders of sanctity. at this point to mention al-Baz al-Ashhab [The Gray Falcon]. The personal touch is important in guidance of the Ummah. Mere book knowledge leads to varied translations and further division. A sick person needs both the physician and the prescription. Often he needs the Doctor more than the prescription. Unless there is a competent physician to administer the prescription properly, the prescription remains useless. Allah gave us both the physician and the prescription, The Beloved Prophet (Salla Allahu ta’ala alayhi wa Sallam) and the Glorious Qur’an. The Qur’an without The Beloved Prophet (Salla Allahu ta’ala alayhi wa Sallam) would not have ushered in the marvellous transformation, in Arabia, which is the pride of Islam. To purify their souls, which is different from merely conveying the message. That is to purify them to understand the message. To explain the real significance of the passages of the Qur’an al-Kareem, such understanding is received when the purification process synchronises their insight (basirah) and eyesight. Finally to bring them face to face with the wisdom which follows this knowledge of the signs and action of purification. The Beloved Prophet (Salla Allahu ta’ala alayhi wa Sallam) combined in himself the leadership of all the various functions. He was the religious teacher, spiritual guide, social reformer, commander in chief and political head. The four Caliphs that followed inherited this leadership in totality. The temporal power and spiritual lead were centred in the same personality. Unfortunate events subsequent to the Martyrdom of Imam Hussain (radi allahu ta’ala anhu) sounded the death knell of amalgamated leadership. The Bani Umayya usurped the temporal power, and the incident of Karbala and its aftermath paved the way for the modern ‘so called’ Islamic Nation States’ and the external (zahiri) brand of Islam, as followed by these leaders. Those who could see the reality however, continued to flock around the ahle bait to drink from the fountain of knowledge and reality. Under the Umayyad and Abbasid Caliphs these expounders of the internal true Islam, or the Sufi Dervishes, were persecuted and that is why these spiritual lessons were given secretly. The Beloved Prophet (Salla Allahu ta’ala alayhi wa Sallam) is the ocean, Hadrat Ali (radi allahu ta’ala anhu) is the outlet and the ahle bait are the canals that carry the water to the thirsty. The analysis of the events after Karbala shows clearly how wealth and power corrupted the morals and respect for the Ahl al-bayt. How deep this rot has set in today. Fortunate are those that are attached to Sufi Orders that have devised effective mechanisms to keep the love of Ahl al-Bayt, and thus the soul of true Islam, alive in the heart of its adherent. Hadrat Khawaja Muniuddin Chisti (Radi Allahu ta’ala anhu) popularly known as Khawaja Ghareeb Nawaaz (The Supporter of the Poor) is the mujaddid (reviver) of the Chistiya Order of Sufis. He is one of the most outstanding figures in the history of Islamic Sufism. The Chistiya Silsila is one of the most popular and influential Sufi orders in Islam. It derives its name from Chist, a village near Heerat, Afghanistan, where the founder of the Order, Khawaja Abu Ishaq (Rahmatullahi alaihi) of Syria, settled. Hadrat Khawaja Muniuddin Chisti (Radi Allahu ta’ala anhu) brought the Silsila to India at the close of the 11th century A.D. and established its centre in Ajmer, whence the order spread far and wide in India and became a force in the spiritual life of the Muslims. Hadrat Khawaja Muniuddin Chisti (Radi Allahu ta’ala anhu) was born in 536 A.H./1141 A.D. at a place called Sanjar, in Sijistan (Persia or present day Iran). He was in direct lineage of the Beloved Prophet Muhammad (Salla Allahu ta’ala alayhi wa Sallam) being paternally descended from the Beloved Prophet’s grandson, Imam Hussain (Radi allahu ta’ala anhu) and maternally from the Beloved Prophet’s grandson, Imam Hasan (Radi allahu ta’ala anhu). Thus he is a Hasani and a Husayni Sayyad. He was brought up in Khorasan, Iran and received his early education at home from his father, Hadrat Sayyad Gheyasuddin (Radi Allahu ta’ala anhu) At the age of 9 ; he committed the Qur’an al-kareem to memory. He was 16 yrs old when his father passed into the realm of Divine Beauty; he inherited a grinding stone and an orchard, which formed a source of his livelihood. A Madhzoub saint, Hadrat Ibrahim Qandoozi (Rahmatullahi alaihi) paid Khawaja Sahib (Radi Allahu ta’ala anhu) a visit at his orchard. Khawaja Sahib (Radi Allahu ta’ala anhu) laid out a sheet for him to sit on and offered him a few grapes from the garden. The saint ate some grapes, and then took out a piece of bread from his sack and chewed on it. He then took out the chewed bread from his mouth and placed it in Khawaja Sahib’s (Radi Allahu ta’ala anhu) mouth. An instant transformation occurred, in keeping with the Sunnah  of the Beloved Prophet (Salla Allahu ta’ala alayhi wa Sallam). It is stated in at-Tabarani, that a slave girl, who was not very modest, asked the Beloved Prophet (Salla Allahu ta’ala alayhi wa Sallam) for some food whilst he was eating and he offered her some of the food in his plate. She refused to accept it saying, “I want the food in your mouth.” He took some food out of his mouth and as soon as she ate it she was transformed into the most modest woman in Madinah. The saints of Allah (Subhanahu wa ta’ala) also practice the internal, spiritual Sunnah of the Beloved Prophet (Salla Allahu ta’ala alayhi wa Sallam). On eating the bread from Hadrat Ibrahim Qandoozi (Rahmatullahi alaihi), Khawaja Sahib (Radi Allahu ta’ala anhu) penetrated the thin line separating the material world from the unseen: the inner organs of perception opened and so did his universe expand. The veil of worldly imagination was lifted from his mind and he found himself in quite a strange world radiating with divine manifestation. The intellectual proof of Islam is found among the Ulema or scholars whilst the personification of ‘surrender to the Will of Allah’ or the visible proof are the Awliya. The truth of the Beloved Prophet (Salla Allahu ta’ala alayhi wa Sallam)‘s integrity is manifested through these Awliya. With this expanded view of the universe, Khawaja Sahib (Radi Allahu ta’ala anhu) went to his mother and with her permission left to acquire more knowledge of Islam (ilme din). Distributing all his worldly belongings to the poor, he went to Bukhara and Samarqand to join the famous Nizamia Universities there for his theological education. He studied under Hadrat Hussamuddin Bukhari (Rahmatullahi alaihi) and other great scholars. He completed his academic courses brilliantly in 9 years (552 AH to 561 AH). Adorned with the external knowledge of Islam (ilme zaahir) he felt an urge to acquire recognition of his Creator (ilme baatin) and thus he sought a Spiritual Guide. The Spiritual Guide is the inheritor of The Beloved Prophet (Salla Allahu ta’ala alayhi wa Sallam) in his inner Spiritual State, in their outward behaviour and in their roles as guides and protectors within their communities. Their Spiritual Hearts (qalb)  are capable of receiving light and love from Allah and radiating it to those that are in their attendance. A person may acquire any amount of external knowledge (ilm) but he cannot reach reality (haqiqah) until he connects himself to a Silsila via a physical present Guide of the Silsila, who has the powerful transference or overflow from the Great Heart (qalb) of the Beloved Prophet (Salla Allahu ta’ala alayhi wa Sallam) down the unbroken chain of recipients. Like butter cannot be acquired without milk, so to recognition of Allah (ilme baatin) cannot be obtained without a Spiritual Guide. Once while Mawlana Jala al-ddin Rume (Rahmatullahi alaihi) was teaching his pupils in the open courtyard next to a fountain, a shabbily externally dressed but perfectly internally adorned Sufi, Shams Tabrez (Rahmatullahi alaihi) came to their assembly and watched them. He saw Mawlana Rumi referring to numerous handwritten books in the course of his teaching. Shams asked Mawlana Jala al-ddin Rumi (Rahmatullahi alaihi) as to what was in the books. Mawlana Jala al-ddin Rumi (Rahmatullahi alaihi) replied, “O! Sufi. This contains knowledge that is beyond your understanding so you continue to read your rosary (tasbih).” Unnoticed by Rumi, Hadrat Shams Tabrez (Rahmatullahi alaihi) threw all the books into the pond of water. When Mawlana Rumi’s students saw what occurred they began beating Hadrat Shams Tabrez (Rahmatullahi alaihi). This and the screams of Shams Tabrez (Rahmatullahi alaihi) alerted Mawlana Rumi as to what occurred. He complained that all his valuable knowledge had been destroyed. Shams Tabrez (Rahmatullahi alaihi) said; “Tell your pupils to leave me alone and I will give back your books.” A visibly dejected Rumi conceded to the request thinking that this was impossible. He was surprised to see Shams Tabrez (Rahmatullahi alaihi), recite bismillah, lift the drenched books from the pond, blew dust of them and returned them to him intact. He asked Shams Tabrez (Rahmatullahi alaihi) as to how he did this. Shams Tabrez (Rahmatullahi alaihi) replied, “This knowledge is beyond your understanding so you continue to teach your pupils.” Mawlana Jalalludin Rumi (Rahmatullahi alaihi) fell at his feet and was swept into the currents of love. The presence of this ragged Sufi, Shams Tabrez (Rahmatullahi alaihi), changed Mawlana Jala’al-ddin Rumi (Rahmatullahi alaihi) from a respected professor of theology into a lover of God, one who summed up his whole life with the phrase, “I burnt, and I burnt, and I burnt.” Shams Tabrez (Rahmatullahi alaihi), targeted Mawlana Rumi (Rahmatullahi alaihi) since he knew that Rumi was ready for receiving Spiritual Training but the veil of conceit, regarding his knowledge, had to be lifted. For without them one cannot reach perfection. Mawlana Rume (Rahmatullahi alaihi) as the true inheritor of the internal state of the Most Beloved Prophet (Salla Allahu ta’ala alayhi wa Sallam) was so respected that the Muslim Ruler of the time used to kiss his feet out of reverence. So the kissing of this great courtyard is not in everyone’s destiny. Yeh aag lagti nahi. Lagahi jati heh. This fire cannot be ignited it has to be attained. After ordaining him as a Spiritual Guide, Khawaja Uthman Harooni (Rahmatullahi alaihi) embraced Khawaja Muniuddin (Radi Allahu ta’ala anhu), affectionately, kissed his forehead and said, “I entrust you to God”. Khawaja Muniuddin (Radi Allahu ta’ala anhu) then departed with a heavy heart on the mission entrusted to him. (Anis ul-Arwah). During his tour onwards, a fourteen-year-old boy, Qutbuddin Bakhtyar Awashi (Born 569 A.H.) approached him at Asfahan in 583 A.H and was initiated as his spiritual disciple (mureed). Khawaja Qutbuddin (Rahmatullahi alaihi) was the first disciple of Khawaja Saheb and he accompanied him on his tour. Khawaja Saheb received ‘Beshara’  or prophecy in dream from the Beloved Prophet (Salla Allahu ta’ala alayhi wa Sallam) in 586 A.H, to grant Khawaja Qutub, Khilafat at an early age of seventeen years. Khawaja Qutbuddin (Rahmatullahi alaihi) was a born saint. His mother was a Hafizah of half of the Qur’an al-Kareem and she recited Qur’an daily during her pregnancy. He therefore remembered by heart, half of the Qur’an al-Kareem by Allah’s grace while he was still in his mother’s womb. Khawaja Saheb during his tour (583 585 A.H.) visited many places including Makkah and Madinah. He performed Hajj and whilst at the Ka’aba Shareef he heard a Voice declaring. “0 Muniuddin we are pleased with you; you may ask anything you like.” He replied, “O Almighty Allah, I only pray for the grace of your pardon to Muniuddin’s silsila of disciples.” Allah answered: “O Muniuddin, You are our beloved devotee we shall pardon your ‘murids’ and also others who become so in your Spiritual order up to The Day of Judgement. He then went to Madinah and remained in devotion for a long time. One night he had a Basharat’ from the Beloved Prophet (Salla Allahu ta’ala alayhi wa Sallam) who said; “O Muinuddin, you are the promoter of our religion. We put India under your charge where darkness prevails.” Go to Ajmer. With your presence the darkness will disappear and Islam shall shine. God will help you.” Khawaja Muniuddin was much pleased with being given an assignment by the Most Beloved of Allah (Salla Allahu ta’ala alayhi wa Sallam) but wondered about the geographical position of Ajmer. He was again blessed with a vision of the Beloved Prophet (Salla Allahu ta’ala alayhi wa Sallam) and shown a map with the exact position of Ajmer with its surrounding hills and fort. Resuming his journey through Hamadan, Tabrez, Isfahan, Khirqan, Astrabad, and Heerat, meeting notable saints in his way he reached Sabzawar in Afghanistan where he converted the governor of the place, Yadgar Muhammad who was cruel and haughty and was a Shia by faith, who did not recognise and respect the first three Caliphs of Islam, neither had any respect for Sufis nor for any pious Saints. One look of grace from Khawaja Saheb caused Yadgar Muhammad to repent. He distributed his wealth among the poor and needy, divorced his many wives, freed all his slaves and renouncing the world, became one of the ardent devotees of Hadrat Khawaja Muniuddin Chisti (Radi Allahu ta’ala anhu), (Tazkarat al-Awliya). Before entering India in 587 A.H., he healed the suffering humanity throughout his journey, visiting Balkh and Ghazi as well. He proceeded to Delhi via Fort Shadman, Multan, Lahore and Samana. Naqesara Ra Pir e Kamil Kamila Ra Rahnuma. He is a bestower of treasure (Ganj Baksh) reflecting Divine Light for the salvation of mankind. Therefore this door is called ‘The Door to Paradise” or Behisti Darwaza. How great must the status of Baba Farid Ganje Shakar (Rahmatullahi alaihi) be ? It is stated that this great wali, Baba Farid (Rahmatullahi alaihi) used to visit the Mazaar of Data Saheb (Rahmatullahi alaihi), he used to show such reverence that he swept the forecourt of the mazaar with his beard. If the goal is to imbue ourselves with Divine Attributes- to become Khalifat-Allah actualised then the natural function is interference. This interference by man is possible on the lower level of physical science and at the higer level of spiritual science or spirituality. The Khalifat-Allah as one totally submitted to Allah can do greater wonders than the physical scientist. Love to all and Malice to none, along with Service to humanity was the foundation stone laid by Khawaja Muniuddin Chisti (Radi Allahu ta’ala anhu) for the successful spread of Islam in India. Representatives of the Chishtiya Order are working up to the present day on the same line. Khawaja Saheb (Radi Allahu ta’ala anhu) used great wisdom in presenting Islam to the people of India. He Islamicised prevalent activities, in keeping with their culture, and presented other ‘enjoyable’ activities to them, especially designed to attract them to Islam. Although ‘qawwal and chanting’ popularly known as ‘Sama’ is not new to Sufis wherever they are, Sultan al-Hind, Gharib Nawaaz Khawaja Muniuddin Hasan Chishti (Radi Allahu ta’ala anhu) specially arranged and patronised these concerts to capture and mould the heart of his audience for accepting the Divine Message gracefully. Thousands of Muslims and non-Muslims listen to it in rapt attention wherever these Sufi functions are held by the representatives of Chishtiya Order and derive spiritual benefits. It is through these methods that the Sufis, slowly and patiently, awaken the Spiritual Heart, to love Allah and the Most Beloved Sayyadina Rasulullah (Salla Allahu ta’ala alayhi wa Sallam), resulting in those astray coming to the straight path. Sultan al-Hind Khawaja Muniuddin Hasan Chisti (Radi Allahu ta’ala anhu) passed into the realm of Divine Beauty on the 6 Rajab 633 AH/1233 AD at the age of 97. On his passing he had the unique honour of knowing that 9.9 million had accepted Islam in India due to his efforts. Words of the final Khutbah of Hadrat Khawaja Mu’inuddin Chishti (r.a.) delivered to his followers just one month before his demise. Love all and hate none. Mere talk of peace will avail you naught. Mere talk of Allah and religion will not take you far. and spead goodwill, peace, and harmony among the people. the widow, and the orphan, if they come to your door. This is your mission, to serve the people…. but if they come from the tongue they will not pass beyond the ears. Although the teaching of Sufism was passed down from the Beloved Prophet (Peace and Blessings Upon Him and his Family) via the chain of spiritual masters it was during the 12th century that different orders began to form for the purpose of teaching the methods of a particular murshid. These Sufi Orders are not sects of Islam and neither are they sects of Sufism. All of them strictly follow the teachings of the Qur’an al kareem and Hadith. Many people ask if tasawwuf came from Sayyadina Muhammad (Salla Allahu ta’ala ‘alayhi wa aalihi wa Sallam), why should there be different branches? The answer to this is that man has different abilities and temperament of understanding, for example, although there may be a specific remedy for a disease, the medical treatment varies with the patient. Our Most Beloved Prophet (Peace and Blessings Upon Him and his Family) taught the secrets of tasawwuf to his companions in different degrees. The different orders have different methods and ways in teaching one the path of Sufism but the aim and goal of all the tariqas is the same, example in a country there are hundreds of schools teaching the same subjects but the teachers are different and their teaching methods are different. It is not a defect for them to have learnt from different tutors with different methods because at the end of the day they have gained the same knowledge of the respective subject. The names of the different silsilas came to exist after the name of the grand masters of that particular order; for example the Qadiriya silsila was named after Ghawth al-A’dham Hadrat Shaykh Abdul Qadir al-Jilani, the Chistiya silsila was named after Hadrat Khawaja Abu Ishaq Chisti and made famous in India by Hadrat Khawaja Muinuddeen Chisti better known as Khawaja Gareeb-e-Nawaaz. The Naqshabandiya silsila was named after Hadrat Bahauddeen Naqshabandi . The Suharwardiya silsila was named after Hadrat Shaykh Umar Suhrawardi (Radi Allahu ta’ala anhum ‘ajmain – May Allah Almighty be pleased with them All.). There are numerous sufi orders but we have just named the main four. The spiritual house is Madinatul Munawarra where the power is generated. The Chisti, Qadiri, Suhrawardi and Naqshabandi etc are all sub stations and spiritual links that convey the spiritual power to the countless muslims. All the salasil-e-tariqat and their murshids who represent them should be respected at all times. We do not want anyone to get confused with Shihabuddin Yahya al-Suhrawardi (1153/5-1191) who was called “the Master of Oriental Theosophy”, and founder of the Ishraqi or “Illumination” School. Yahya al-Suhrawardi was the most controversial of three celebrated mystics who lived at the same time and bore the same place-name – Suhraward, in northwest Iran, near Azerbaijan. His contemporary Hadrat Shaykh Shihab al-Din ‘Umar b. ‘Abd Allah al-Suhrawardi (1144-1234) kept his head by being a model of orthodox moderation, and enjoyed the patronage of Caliphs and princes. He was the founder of the great Suhrawardiya Sufi order, which still has many adherents today. Shihab al-Din’s teacher was his uncle Abu Najb Suhrawardi (d.1168), rector of the Nizamiya academy and an authority on Hadith. The Suhrawardi school is characterised by its strong commitment to Sunni orthodoxy. Suhrawardiya has its origins in the teaching of Diya al-din Abu ‘n-Najib as-Suhrawardi (1097-1168). After studying Islamic law in Baghdad Abu n-Najib went to live by the river Tigris where he set up a retreat and gathered a group of disciples. The ordered became particularly influential through the work of Abu ‘n-Najib’s nephew, Shihab ad-din Abu Hafs ‘Umar (1145-1234). Shihab ad-din acquired the support of the caliph and attracted sufis from all over the world to hear him teach. He is the author of the celebrated ‘Awarif al-ma’arif, an excellent text of ‘irfan and Sufism. The other, not to regard others with pessimism. From the Middle East the order spread into the sub-continent into Afghanistan, India, Pakistan where, in spite of splitting into a large number of subgroups, it became active in sub-continent Islamic spiritual life, an influence which extended even as far as the Mughal court. The order does not have a distinctive symbol system, but today its many followers are spread throughout the west as well as the far east. This Suhrawardi Shaykh is not the same as the controversial but famous philosopher known as Shaykh al-‘Ishraq, who was killed around 581-590/1185-1194 in Aleppo, Syria. Shaykh Shihab al-din Umar Suhrawardi the gnostic died around the year 632/1234. Shaykh ‘Abû Hafs ‘Umar al-Suhrawardî (d.1234) and his erudite Sufî treatise ‘Awarif al-Ma’ârif. This Sufî manual became an important book for all sufîs striving to understand and practice the proper Sufî path (tasawwuf) as it was connected to a rich philosophical tradition in Islam called the ‘school of illumination.’ I demonstrate that al-Suhrawardi’s Sufî treatise contains a wide range of sufî theology; from Qur’anic hermeneutics, hadith tafsir, rational arguments on epistemology, different levels of spirituality, proper etiquette, correct methods to subsisting with God, to disparaging criticism of other sufî orders. It is a systematic examination of al-Suhrawardi’s sufî exegesis of the Qur’an al-kareem and the different methodologies he applied to his particular sufî theosophy. Essentially, my work centers around the argument that sufî texts function differently from other Islamic texts, which are primarily meant for legal expositions, because they provide daily spiritual exercises designed to contribute to the spiritual and intellectual growth of the Suhrawardiya Sufî members. I hope to continue with the themes of sûfî Qur’ânic hermeneutics and the sûfî remembrance of the Beloved Prophet Muhammad (Peace and Blessings be upon him and his family) in another book by focusing on creating an Islamic Liberation Theology for the Muslim modern world. This books explains Shaykh al-Suhrawardî’s sufi theology and its importance to the training of sufi disciples. His careful analysis of mystical ideas of self-annihilation, sufi exercises (dhikr), proper moral conduct (adab), and other areas that stressed the complete obedience to Islamic law and to the customs of the Prophet will reflect a sufi master’s intention to ensure his sufi path reflected the truest and purest form of faith. This translation and commentary of al-Suhrawardî’s ‘Awârif al-Ma’ârif is an original project mainly because in the Middle East and South Asian sufism the sufi text is still very popular and used. The heart of this study is to illustrate the use of theological reasoning for sufi theosophy and how it is critical in sufi spiritual practices. It aims at opening the door for non-specialists of medieval sufi texts who desire to learn the wisdom of sufi Muslims and their larger contribution to spirituality. This book argues al-Suhrawardi’s emphasis that one needed to be prepared to carry out this extraordinary responsibility by having one’s thoughts and actions planned for every moment, at every place. By analyzing his Qur’ânic interpretations and his understanding of the sayings of the Prophet (Salla Allahu ta’ala alayhi wa Sallam) or hadiths within a sufi context forged a particular sufi theosophy that gave this text the power to aid in the daily spiritual exercises of the sufi way (tasawwuf) and in the spiritual and intellectual growth of the Suhrawardiya members. “Knowledge for God’s Encounter” expands upon the continuity and tradition of the Suhrawardîyyâ sufi order by concentrating on the particulars of being a sufi and living the sufi path. The translation and commentary will bring a clearer understanding on why Sufi Muslims have seriously desired to enhance their knowledge of God. Their deep commitment to the tradition allowed them to provide real spiritual and temporal answers to existential problems. Like mystics of other traditions, Shaykh al-Suhrawardi’s sufi treatise is aimed at maintaining a spiritual life and also teaching his disciples the various meanings in sufi theology. This translation and commentary will contribute to an understanding of religious beliefs and practices, theology, and philosophy of a sufi order who were and are still one of the most visibly intellectual sufi orders in Islam. ‘Awarif al-Ma’arif is a manual for daily study and practice written by the the renowned thirteenth-century Sufi thinker, Shaykh ‘Abu Hafs al-Suhrawardi. The treatise recognizes the primary importance of the Qur’an and the Hadith, and functions as a medium of interpretation for the primary texts. The aim of the treatise is to assist the daily spiritual exercises and general intellectual development of the Suhrawardiyya members; it makes use of Quranic hermeneutics, Hadith commentary, rational arguments on epistemology, as well as discussing different levels of spirituality and proper manners. It also includes some severe critique of others orders and their interpretations of tasawwuf. In very many, if not all, of his arguments, Suhrawardi relies for authority upon Hadiths his own intimacy with the Most Beloved Prophet’s (Salla Allahu ta’ala alayhi wa Sallam) way of life. The use of Hadiths in legal, philosophical, poetical, and religious contexts has long been known and understood. Their use in a Sufi spiritual manual is orientated toward presenting the way the Prophet (Salla Allahu ta’ala alayhi wa Sallam) as a model for inward and outward actions. Shaykh Shihab al-Din Suhrawardi’s (Radi Allahu anhu) intensive use of the Hadiths is a significant element in the treatise, enabling its readers to remember and re-enact the Noble Prophet’s (Salla Allahu ta’ala alayhi wa Sallam) way so that they can move from merely imagining to actually embodying the Prophet’s spirituality. In sum, while the student rehearses and memorizes the Qur’an al kareem for the formal prayer rites, Prophetic Hadiths are committed to memory in order to cultivate a closer kinship to the Most Beloved Prophet (Salla Allahu ta’ala alayhi wa Sallam) and maintain his sacred presence at every moment. When the Islamic faith imparts to us the knowledge that God alone is our deity, [that] He alone we should worship and He alone we should ask for help, the question then necessarily arises in our mind, ‘Where should we seek this God whom we worship and before whom we express our humility and subjection?’ Truly speaking, Sufism gives a reply to the above question in the light of the Qur’an and the Prophet’s traditions, and it is also called “the knowledge of the nearness of God.” (Ilm-i-qurb). 1. The companions of the Right Hand (Ashab-al-Maimana). 2. The companions of the Left Hand (Ashab-al-Mash’ama). 3. Those nearest to God (Muqarrabun). This classification is, thus, according to the knowledge out of which spring their actions, knowledge of the right path and knowledge of the wrong path. But who are the “Muqarrabun?” They are just not the companions of the Right Hand only – otherwise they would have not been placed in the separate category. The Sufis believe that it is just another name for those who are not only on the right path guided by their Lord, but also know the right relation between the “Haqq” and “Khalq” or between the Creator and the created, between God and man. Thus the great Sufi Shaykh Shahabuddin Suhrawardi (May Allah be pleased with him) in his famous Sufi Compendium ‘Awarif-al-Maarif’ (Chapter I) holds that though the term ‘Sufi’ is not used in the Noble Qur’an, the word “Muqarrab” connotes the same meaning, which is expressed by the term Sufi. Now you have read a very brief account of the knowledge of those ‘nearest to God’ (Muqarrabun); you will read its details in the third chapter of this book. This knowledge is concerned with the “Secret of the Omnipresence of God.” The Qur’an and the traditions definitely prove that the ‘essences’ of created beings are the ‘other’ of God. The relation between the Creator and the created, is not one of ‘identity but is definitely that of “otherness”, things created are the ‘other’ of their Creator. “Then will ye fear other than God?” “Is there a Creator other than God?” In spite of this ‘otherness’, the omnipresence, proximity, immanence, ‘firstness’ and ‘lastness,’ ‘outwardness’ or ‘inwardness’ of God, (or in the terminology of Sufis “identity”) too, is indisputably posited by the Qur’an and the Traditions. Apparently this would seem rather contradictory. We will have to consider it in the light of the Qur’an and the Traditions and remove the contradiction. Sufism (The mystical knowledge of the nearness of God or ‘Ilm-i­qurb’) removes this contradiction and proves — proves by the words of God Almighty — proves by the commentary of His Prophet — that the essences of phenomenal things before their creation, subsist in the Divine Knowledge, are the objects of God’s Knowledge, are the Ideas of God and are definitely the ‘other’ of their Knower, the Creator. For the ‘essences’ of things form, determination, limitation, individualization are necessary. God is free from these limitations or determinations –is not a form. Being or existence does not belong to us. It belongs to God alone. We possess attributes of non-existence, and God Almighty is gifted with the superlative attributes of existence. Having no existence and existential attributes we possess no activity of our own. God alone is active, the only agent or doer. Suhbah means an Association or Gathering in which those gathered are focussed on one point, one goal. Some people think that they will not find any evil, or conflict in sacred places like Makkah and that you will not witness such things in front of it [the Ka’aba]. However, anyone who has visited these holy places can easily know that it is not the case at all that nothing of that sort happens there.Such holy places, maybe even more than other places, are bringing out these things that belong to a different world, not to the world of spirits, and angels but to the world of animals. So when you enter, or are intending to begin to walk on such a path, the Sufi path, it does not matter that difficulties and problems occur. It only matters that for the first time you can know why it occurs and for what purpose. That is the difference. People are usually not suffering from what comes to them but they are suffering mostly from not understanding why it comes and for what purpose. Therefore, people who are trying to follow a spiritual path should understand. They must know that belonging to such a group does not automatically mean that they are safe from each other, because we know that one of Allah’s ways, Glorified and Exalted be He,one of his most famous ways of testing his servants is to test them by putting them against each other. That happens in tariqah as well as outside but maybe in a way within tariqah that is more noticeable because one doesn’t expect it. At the same time, one must understand it and learn to deal with it. Again, what happens within tariqah is only an example for what happens everywhere but it is clearer there. Because we should be awake and not asleep when we are following a spiritual path. If we don’t want to follow, we may sleep. Then it doesn’t matter. But if we are trying to follow such a path, we should not sleep. It is not permitted. If it happens we should quickly try to wake up. Sometimes, when we are speaking here, we are speaking in general concerning all people, coming from anywhere, going anywhere. Sometimes, there is something important that needs to be said about particular events, particular things, but whatever is said must be useful and helpful. We are not speaking here to impress people with knowledge. The purpose of ‘suhbah‘ or speaking in suhbah lies in two things. One is to say something of benefit for people and that may be helpful for a particular situation for them and may be helpful in general, at the same time. The second purpose of speaking in suhbah is to ask Allah to bring about in those people who are truly listening and are awake and not sleeping, an opening in their heart, such that blessings may come upon them. Many people in our days do not understand this anymore and so many people are judging and criticising and condemning without understanding.So, they may benefit from his words. But his words are just as important for those people who are following or are intending to follow a spiritual path, a Sufi path. There have been always in the tradition of Sufism, particular places where the Sufis lived. If you go to Konya, in Turkey, and visit the tomb of Mawlana Jalaluddin Rumi, may Allah sanctify his blessed secret, you will see that around the tomb there is a big house with many, many rooms. In those rooms his disciples and the disciples of other Shaykhs of the Mevlevi tariqah were living. That existed also in other turuq but not in all. Now, what is said here by Shaykh Umar Suhrawardi’s (radi Allahu anhu) is about such people living in such houses. Maybe, you know that there are many meanings of the word tasawwuf or Sufi, and each one has some wisdom. Some say, it comes from suf, wool, or from the Arabic word for purity. Shaykh Umar Suhrawardi is saying here that the name comes from Ahl as-Suffa. When one says so, one must understand what it means: who were the Ahl as-Suffa and what does it mean for someone who is claiming to be a Sufi, and who is living under the name of those people. There is a saying of the Beloved Prophet, Salla Allahu ta’ala alayhi wa Sallam: the souls are like armies gathered together, those who know each other, agree with each other. Those who do not know each other, disagree. Those who know each other, agree with each other, they are coming together, they are meeting, they are in suhbah. Those who do not know each other, disagree. Through suhbah the Sufi’s inner lives are brought together and their souls (anfaas) are kept in limits. Why? Because, being in suhbah, they are looking at each other, gazing at each other, in accordance with the hadith that the believer is a mirror to the believer. When in suhbah those people’s eyes are upon each other. Everyone is the mirror of the other and thereby their souls are kept in limits. The 12th century scholar Abu al-Najib al-Suhrawardi (Radi Allahu ta’ala anhu) wrote a treatise on adaab which included instructions for conduct at meals and with guests, many of which echo those of Data Ali Hujwiri (May Allah be pleased with Him). First in importance was that one should eat in company whenever possible, whether informally with companions, graciously with guests, or generously with the poor, and always with impeccable courtesy. One should eat only when hungry, and stop before becoming full. Abu al-Najib al-Suhrawardi (Radi Allahu ta’ala anhu) also advised that travelers not carry food on their journeys. To do so constitutes an exercise of the quality of tawakkul — wholehearted faith in Allah as Provider, humility in the face of that fact, and acceptance of what is given — into a context in which one is most vulnerable. Hungry strangers who consciously leave the provisioning to God expose and confront their dependence on Divine grace, generosity and protection. Consequently, the conditions are created for others to serve as vehicles of those qualities. According to Abu al-Najib al-Suhrawardi (Radi Allahu ta’ala anhu), the Sufi must greet and honour all guests, and share with them whatever pure food or drink is available without fuss or ceremony. The guest, in turn, should sit where placed by the host, and express appreciation. Each year Shaykh Shahabuddin Suhrawardi would leave Baghdad to perform the hajj. But when he grew old and infirm, food prepared for him on the journey did not please him: he no longer liked to eat cold food. His disciple Shaikh Jalaluddin Tabrizi then devised a way to carry a hearth and a pot on his head, and to keep the hearth lit without burning himself. Whenever the Shaykh wished to eat, his disciple would then serve him hot food! Many early Sufis were particularly assiduous about the earthly source of their meals. Sufis eat only food whose source they know. They avoid eating the food of unjust and sinful people. Al-Qashani is the author of the Persian handbook of the Sufis the Misbaah al-hidaaya wa Miftaah al-Kifaaya – ‘The Lamp of Right Guidance and the Key to What is Sufficient’. This book has been partially translated into English by Wilbeforce Clark, while the impression is given that it is the Arabic book of as-Suhrawardi, the ‘Awaarif al-Ma-aarif. 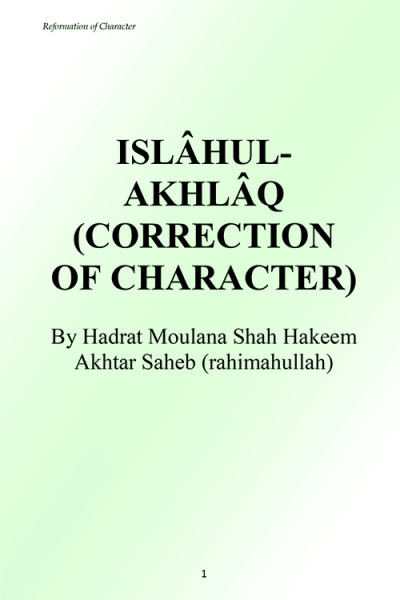 I have translated the chapter HOW THE MUREED SHOULD BEHAVE TOWARDS HIS OR HER SHAYKH as given in the book of al-Qashani. Know this: It belongs to the most important rules of the mureed, that she or he takes care of behaving properly towards her or his shaykh, because of the fact that the guarding of the ways of behaviour creates love in the heart. It so happens that the beauty of your spirit and the perfection of your intelligence can only be seen in the shape of the beauty of your way of behaviour. If you are always courteous towards your shaykh, then because of the love that is created you’ll win a place in the heart of your shaykh and then the eye of the mercy of God will rest on you. God is always looking with the eye of mercy and care on the hearts of His friends. If the mureed finds a fixed place in the heart of her/his shaykh, then the blessings of the always lasting divine mercy will be hers/his. The acceptance by the shaykh will be the sign that he has no objection towards you and is the clear proof of the being accepted by God and His Messenger (Peace and blessings be upon him) and all the shaykhs who are the linking-pins between your shaykh and the Beloved Messenger of God. Some of the duties towards your shaykh you can only realise by showing good manners. By showing respect towards religious scholars and shaykhs, who are your spiritual fathers, you fulfil an important duty and if you would neglect these things then this is nothing else but negligence and disobedience. In the ahadith it is said: “Who does not honour our great ones and who does not show mercy towards our ‘little ones’ and who does not acknowledge the right of our scholars, does not belong to us”. If you neglect the right of your shaykh, who as a mediator represents by his right the right of God, then you also fail in your duty towards God, because “if you show neglect towards your lowest lord, then you will not reach your highest Lord”. The shaykh in the midst of his companions who gives them teachings is like the prophet in the midst of his companions. When the shaykh calls you to the path of the imitation of the messenger of God, then he is the representative of the messenger of God: “The shaykh among his community is like the prophet in his community”. At the moment there are fifteen rules for the mureeds towards their shaykh present in my spirit. These are both universal as well as particular rules. The first rule expresses the conviction that only your shaykh should take care of your education, guidance, training and teaching. If you should look towards someone else as being comparable to him or even more perfect than him, then your connection with your shaykh, based on love and inclination, is weak and because of that the words and the spiritual states of your shaykh will have little effect on you. The way by means of which words get through to you and give you a connection with the states of your shaykh, is love. If your love is more perfect, then the more your disposition will be open to be educated by your shaykh. The second rule implies the fixed decision to persevere in the obedience towards your shaykh. You should know that the door of the divine mercy will only open because of your constancy in obedience and service. Either I give my life at his doorstep or I’ll reach my goal. A sign hereof is that you do not turn away, when your shaykh says no to you and when he keeps you at a distance, because a shaykh often tests you when he scans your spiritual states. Abu ‘Uthman-e-Hiri [d. 298/910-11; he has been of prime importance in the Sufism of Khorasan] came to Neshapur obeying [his shaykh] Shah-e-Kermani [d. before 300/912-13; he was a mureed of Abu Turab an-Nakhshabi] to visit Abu Hafs-e-Haddad [d. 270/883-4 or earlier; he was a malamatiyya, that is he followed the path of blame]. When he saw the light of his sanctity, his [Abu Hafs] blessed look attracted him in such a way that he [Abu ‘Uthman] became a prisoner in his net. When the time to return had come, he then asked Shah-e-Kermani if he could stay [with Abu Hafs]. At that time he was in the midst of his youth. Abu Hafs however chased him away and said: “You are not allowed to sit in my company”. He then obeyed this decision and retreated, walking with his back towards the door, until the shaykh could no longer see him. Abu ‘Uthman then decided that he would dig a hole near his door and to remain sitting in it and not to come out except if Abu Hafs would accept him and call him. When Abu Hafs saw his honest determination, he called him, made him one of his special companions, married his daughter to him and appointed him as his successor. After the death of this shaykh, he sat for thirty years in his place. The third rule implies that you submit yourself to the choices of your shaykh. As a mureed you should accept every decision of your shaykh dealing with your person or with your possessions and you should obey every decision being submitted and content. This is the only way that you can win the jewel of his attention and his love. Only by this measuring rod the quality of your sincerity can be determined according to the advice present in the following words [Qur’an 4:65]: “Yet by your Lord, they will never believe until they name you to judge concerning what they are quarrelling over among themselves concerning whatever you have decided, and will accept it wholeheartedly”. Question: How do you know that you can trust your shaykh (or your shaykh to be if you are not yet his mureed)? As you know there are many charlatans around who are only interested in your money or are eager to increase their power over other persons. The fifth rule demands that you decline from making your own choices. The mureed is not allowed to undertake anything – neither religious nor worldly, universal or particular – without finding out what the shaykh wants and chooses. You should not eat nor drink, nor dress yourself, nor give presents, nor sleep, nor take, nor give but with the permission of the shaykh. You should not perform any religious practices without the permission and the specification of your shaykh, like for instance fasting or taking food, voluntary devotional practices or limiting yourself to those practices which are obligatory or the remembrance of God, the recitation of the Qur’an and being absorbed in something. It so happened one night that the messenger passed the house of Sayyadina Abu Bakr (radi Allahu ta’ala anhu) and overheard him reciting the Qur’an in his nightly prayers with a low voice. Then he passed the house of ‘Umar (radi Allahu ta’ala anhu) and heard him recite the Qur’an in his nightly prayers in a loud voice. When the two of them came to the messenger of God in the morning he asked Abu Bakr (radi Allahu ta’ala anhu) why he recited the Qur’an in his nightly prayers in a low voice. He answered: “I listen to the One with Whom I converse”. He asked Sayyadina ‘Umar (radi Allahu ta’ala anhu) why he recited in a loud voice. He answered: “I drive away the Satan and I awake the one who is sleeping”. Then he ordered them that they should not recite in a too soft voice nor in a voice that is too loud, they should follow a middle course. Then the Quranic verse 17:110 was revealed: “And pray neither with a loud nor with a low voice, but follow a middle course”. This is a proof that when you have a spiritual guide you should not follow your own insight. This is also true when this concerns a true insight. The sixth rule implies the observing of the thoughts of your shaykh. The mureed is not allowed to undertake anything, which rejects the thoughts of one’s shaykh. You should not consider them to be of little importance, because you rely on the kindness, the perfect clemency, the friendliness and the forgiveness of your shaykh. What enters the consciousness of shaykhs because of rejection or acceptance has a very strong influence on the person of the disciple. The seventh rule demands of you that you ask your shaykh to give an explanation of your visions. The mureed should depend on his or her shaykh in regard to the explanation of visions, no matter if they come in your sleep or during your wakefulness. You should not independently decide on your own that there is no harm in them. It is namely possible that such visions come about because of secret desires in your soul, but that you are not able to see them as such and that they are judged to be harmless, which may not be the case. When you however speak about it with your shaykh and your shaykh by his rich knowledge gets really acquainted with it, then you have the opinion of your shaykh to help you to realise it in a practical way when it is harmless. When it may mean an injury, then this has also become clear. The eighth rule demands that you give an attentive ear to the words of your shaykh. The mureed should wait and be attentive in regard to everything that comes from the lips of his or her shaykh. He or she should see his tongue as a means of expression of the speech of God and be convinced that he (your shaykh) speaks by means of God and that his speech does not stem from his own desire and that he has reached the station of ‘He is speaking by me’. You should see his heart as a boisterous sea, filled with all kinds of pearls of knowledge and precious gems of gnosis, a sea which every now and then – because of the blowing of the winds of pre-eternal providence – may cast some of these pearls and precious stones on the shore of the tongue. You should therefore take care and be attentive, so that you are not excluded from anything from the words of your shaykh, which may be useful and beneficial to you. You should also try to harmonize every word of your shaykh with your own state. You should imagine that you are formulating a request for your well-being at the door of God with a receptive tongue and in the measure of your receptivity a speech coming from the unseen descends to you. When you are talking with your shaykh you should keep away from your own ego, you should be far away from hypocrisy by showing your own knowledge and gnosis and by presenting yourself as beautiful and perfect. Because when you try to speak yourself and when you are waiting for the oppurtunity to talk yourself, then you remove yourself from the position of a mureed and the ear of your heart will become deaf to the words of your shaykh. In their explanations of the reason that the Qur’anic verse 49:1: ‘O, believers! Do not press forward before Allah and His Messenger…’ has been revealed, some commentators have written: There have been people in the company of the messenger of God who – when someone asked him a question – developed the habit to give their own opinion, this until the Almighty by means of this verse from the Qur’an made it clear that this was wrong and forbidden. The nineth rule demands that you should lower your voice. When you are together with your shaykh you should not speak with a loud voice, as it is not courteous. It is as if you put down the robe of dignity. In order to teach something the following verse in the Qur’an (49:2) has been revealed: ‘O, believers! Do not raise your voices above the prophet’s voice!’ Thereafter their words were difficult to understand as they were lowering their voices too much. That is why the following verse (49:3) from the Qur’an has been revealed: ‘Those who lower their voices in the presence of the messenger of God are those whose hearts God has tested for reverence’. And do not be loud in speaking to him, as you speak loudly to one another, lest your works come to grieve while you are unaware. Thereafter they addressed him by using ‘Messenger of God!’ or ‘Prophet of God!’. Then these elevated words were revealed (Qur’an 49:4-5): Those who shout out to you from without the inner apartments, most of them do not understand. Had they waited for you to come out to meet them, it would have been better for them. Just as you should not be to free in your speech to your shaykh, you should see it as your duty to honour and respect him in your acts. That is why, when you are in the company of your shaykh, you should roll out your praying-carpet only during the times of the ritual prayers. When listening to Sufi music you should refrain from making movements and you should not call out, and as long as you have the power to control yourself, you should not move when you are in the company of the shaykh. You should also refrain from laughing. The eleventh rule implies, that you should recognise the right moment to speak. In case the mureed would like to discuss important religious or worldly things, then you should first ascertain whether the shaykh is willing to use his own time in such a way, is willing to listen to you or not. You should not be in a hurry to talk to your shaykh. Start to concentrate on the Almighty and ask Him for His grace and ask for help coming from His divine glory, so that you may not make any mistakes in regard to the proper rules of behaviour. Ibn ‘Abbaas (radi Allahu ta’ala anhu) [‘Abdallah Ibn al-‘Abbaas, d. 687-90, was a very important scholar in the first generation of Muslims] has said: ‘The actual cause for the revelation of this verse of the Qur’an was that the people in their contact with the messenger of God asked him too many importune questions and thus wearied him. That is why these words have been revealed. Thus it is possible to see who is a friend and who is a hypocrite. It is said that Sayyadina ‘Ali (radi Allahu ta’ala anhu) was the only one to practice what was said in this verse. He always gave a dinaar and thereafter he spoke with the messenger. It is said that ‘Ali has claimed the following: ‘In the book of God there is a verse and no one has acted on it before me and no one will act on it after me’. The profitable word is that which you utter to the degree of the understanding of the hearer. The profitable question is that one which corresponds with the station of the hearer (of the response). The thirteenth rule implies that you keep silent about the secrets of your shaykh. Supernatural powers, visions and other things, concealed by the shaykh, for its divulging you should not ask permission. Because in concealing it, your shaykh has seen a religious or worldly advantage and you are not always able to be aware thereof. In divulging the same damage may be caused. As I hide them all in myself. And their revealing is not desirable. The fourteenth rule implies that you should reveal your own secrets to your shaykh. It is not allowed that the mureed hides his or her secrets for the shaykh. Every gift of grace and each other gift, as has been willed to be yours by God, should be shown in clear language or explanations to the shaykh, so that he can be the judge thereof. It is like this, that when in your consciousness a personal secrets remains hidden, then in your inner being a knot may form itself, which may make it impossible to receive advice and help from the shaykh. When you present it to your shaykh, then the knot opens up and the impediment is removed. The fifteenth rule implies that what you tell about your shaykh (or when you tell something that comes from your shaykh) it should be compatible with the understanding of the one you tell it to. Do not pass on those things, which are unclear or very subtle, as the one who listens to you cannot understand the same. A speech, from which the listener cannot derive what the one who has been speaking has meant, is useless and can be harmful. The one listening could form a bad opinion about your shaykh. Please note that the aim of the aforesaid rules is only to realise the proper behaviour in order that teaching and learning can take place. Every Sufi order and every shaykh modifies the above according to the place, the time and the people concerned. This concludes the translation of the 15 rules from Mahmud-e-Qashani in his ‘Lamp of Guidance and the Key to what is Sufficient’. by Imam Shihab al-Din Suhrawardi, trans. Hossein Ziai. Mazda Publishers, California: 1998. There are several conditions for the prophet [Lawgiver]. He must be appointed apostle by the High Heavens, which is a condition specific to prophets. The rest of the conditions, such as extraordinary acts, foretelling visions, or learning truths without a teacher, may be possessed by other great divinely informed souls. Also, it is possible that some saints and lofty humans be divinely informed. It is not necessary that each and every prophet possess truths of the highest nature [to an extent more than anyone else], because many of the learned people and scholars of their [Muslim] nation–such as Abu Bakr, ‘Umar, ‘Uthman, ‘Ali, Hudhayfa, Hasan al-Basri, Dhu’l-Nun al-Misri, Sahl Tustari, Bayzid, Ibrahim ibn Adham, Junayd, and Shibli (may Allah’s paradise be bestowed upon them all) and others–are more learned in the sciences than the Israelite prophets. Moses’s need for Khidr (upon whom be peace) is indicative of this situation: perhaps a prophet, as Lawgiver, may be in need of enlightened scholars. Also the story of how David employed Luqman’s aid is famous. While what I have said is not clear proof, demonstration does not bar it. Dreams [occur] when the animal soul is suppressed away from the outer senses [affecting] the inner ones. And whoever continually meditates upon the heavens and abstains from pleasures, including food–save in amounts that are needed for survival–and prays at night holding vigils and reads much of divine revelation and frees the mind through thinking good thoughts and, at times puts the soul to test and carries inward conversations with God in the High Heavens and praises Him, then “lights” like dazzling flashes of lightning shall be cast upon him. He shall then [experience such things] without interruption so the lights will appear to him even in times other that when meditating. He may also behold pleasant shapes. A tremendous dazzling flash may beckon the soul to the unseen realm. Luminosity more radiant than the light of the sun shall fall upon the sensus communis, thus causing one to experience pleasure. This light becomes internalized by the enlightened sages so that, whenever they will it, they shall see it and thus be guided by it to ascend to the realm of light and so come to reside in pure circumstances. These dazzling lights and thunder are not [the same as] scientific knowledge nor mental images, rather they are rays of divine lights. Incorporeal lights appear from the Heavenly realm. The lights of the Necessary Being and the lights of the Intellects are without limits in their degree of luminosity. The enlightened souls shall behold them in the hereafter even more clearly as what the eye sees, more luminous than any corporeal light. The light of separate entities is not in addition to their quiddities, rather they are themselves abstract, incorporeal lights, just as the luminous sage-philosophers have testified based on their visions. Shaykh Ibn al ‘Arabi (May Allah be pleased with him) the Great Sufi thinker and philosopher once in Baghdad had a meeting with Shaykh Shihab al-Din ‘Umar al-Suhrawardi, author of the ‘Awarif al-ma’arif. He said: “Our Shaykh the ascetic Muhaddith Diya’ al-Din ‘Isa ibn Yahya al-Ansari vested me with the Sufi cloak in Cairo saying, ‘Shaykh Shihab al-Din al-Suhrawardi vested me with it in Makka from his uncle Abu al-Najib.’” Siyar A’lam al-Nubala’ (Fikr ed. 16:300-302 §5655=Risala ed. 22:377). In his chapter on “the Imam, the Muhaddith, the Examplar, the Shaykh of the Sufis” Abu al-Qasim al-Nasrabadhi, al-Dhahabi established as authentic the chain of transmission of the Sufi cloak from al-Qushayri, from Abu ‘Ali al-Daqqaq, from al-Nasrabadhi, from Abu Bakr al-Shibli, from al-Junayd, from al-Sari al-Saqati, from Ma’ruf al-Karkhi. Al-Dhahabi also received the Sufi cloak of Shaykh Muhyi al- Din Ibn ‘Arabi and the transmission of all his works as we mention below, in the section on Ibn Hajar, even if he did not spare him his criticism.